Daily appointment book offers 12 months of planning from January to December. Each page contains one weekday that is ruled without appointment times and has a two-color format. 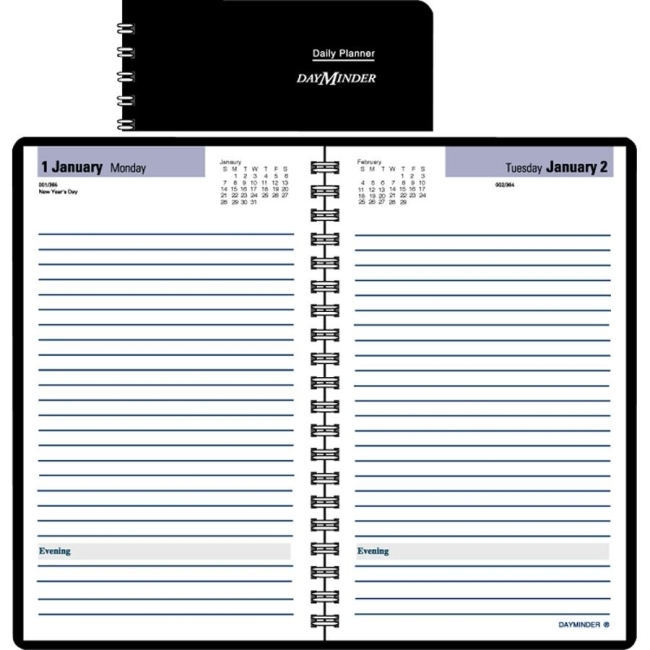 Wirebound appointment book features current and future months reference on each day, Julian dates and a simulated leather cover. Planning pages are printed on quality recycled paper with 30 percent post-consumer material. Nonrefillable.